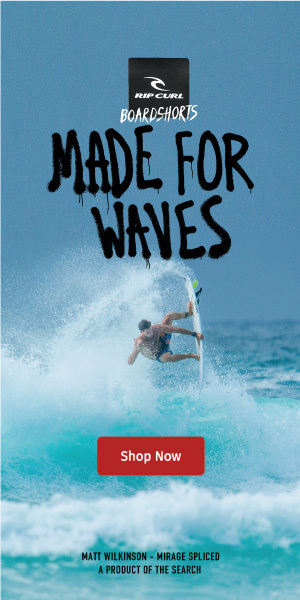 Rip Curl’s 12 year old talent. Although it may not cure you, it will put a smile on your face. Surfing is a sport that works like a therapy against the demons that sometimes take advantage of our brains. And, although it may not cure you, it will put a smile on your face. We all know that a lifestyle surrounded by the sea brings a lot of positive benefits to our health. It has impacts on our skin, immune system, articulations, and breathing. Now, imagine combining those positive effects with a relaxing sport that puts you in contact with the natural elements and your inner self. Believe it or not, surfing has already been prescribed by doctors. Because it an outdoor activity practiced in the water, it is highly recommended to those recovering from mental illnesses. Mental health is a broad and complex multidimensional concept that involves, not only psychological factors but also emotional and social variables. Surfing heals. It has been proved that catching waves works like a medicine and helps to deal with depressive symptoms, negative thoughts, insomnia, irritability, anxiety and bipolar disorders, and self-destructive behaviors. Surfing not only improves your physical fitness, but it also clears your mind and acts as an emotional stabilizer. Its Zen effect soothes the mind and balances your emotions. Those who actively engage with surfing, know that it reduces stress, boosts our mood, and even helps us overcome loss and grief. In other words, you could say that it is a crossover activity that blends meditative experiences with physical exercises. Surfing is also known for putting our lives into perspective, and let us know what's really important and matters to us. Also, patients suffering from post-traumatic stress disorder (PTSD) have reported improvements in their sleep after getting into surfing and maintaining regular wave riding activity. The act of surfing wakes anyone up. It is the best remedy against numbness and helps us cope with the roughness of life. Are your self-confidence levels low? Get to the beach. The simple fact that you're out of your daily environment, waiting for Nature to send you the waves, is, per se, a way of slowing you down and injecting peace and tranquility into your persona. Surfing is also an incredible saltwater tool for people with autism. Autistic kids, for example, tend to respond exceptionally well to a high-energy sport like surfing. Today, many non-governmental organizations act as a bridge between people with mental health issues and surfing. Surfers Healing, One Wave, Waves of Wellness Foundation, Waves For Change, have been working hard to put surfing on the mental health agenda. Hospitals and medical centers are also promoting surf camp experiences so that patients with mental illnesses can enjoy the thrill of riding a wave. Surfing may not be the solution to all of our problems, but whenever we jump into the ocean, we drop part of our frustrations and sadness in the sea water. Remember that the sport of riding waves also fights cognitive decline, and elevates your perception of attractiveness, bringing your self-esteem out of the gloom. If you're not a surfer yet, think of rediscovering yourself. Get a surfboard and live the dream. If you already are a surfer, then try to surf more because it will back you up for life.